These can all be controlled by the Harmony or some other universal remote, if you so desire. The screen makes it really easy to navigate those items, which is one of the downfalls of a lot of other universal remotes. One other thing that it does that a lot of universal remotes don’t is store its settings through power cycles. A universal remote is almost always slower than a regular remote. 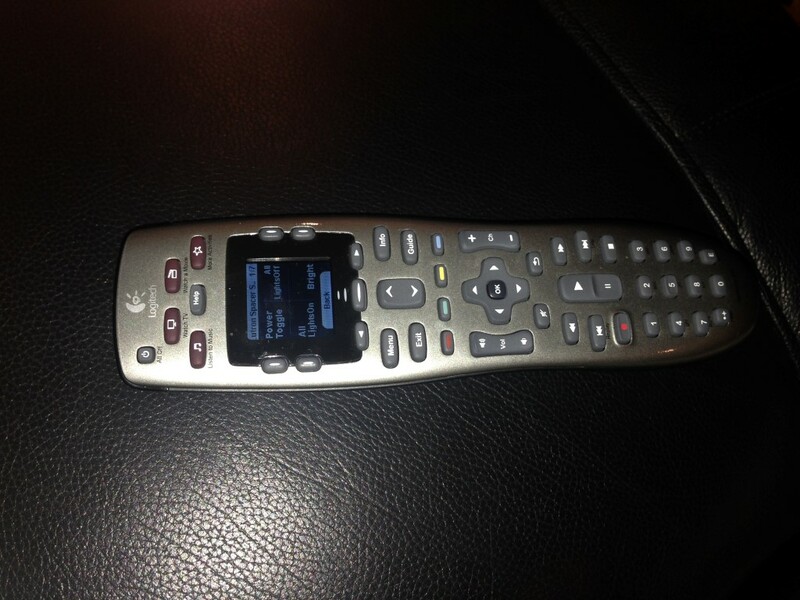 For my home theater, I use the universal remote for the lights but still use the other remotes most of the time. The normal light remotes didn’t store the presets I wanted correctly but the Harmony did.